Loan documentFor nearly 30 years, I have represented borrowers and lenders in commercial real estate transactions. During this time it has become apparent that many Buyers do not have a clear understanding of what is required to document a commercial real estate loan. Unless the basics are understood, the likelihood of success in closing a commercial real estate transaction is greatly reduced. Throughout the process of negotiating the sale contract, all parties must keep their eye on what the Buyer's lender will reasonably require as a condition to financing the purchase. This may not be what the parties want to focus on, but if this aspect of the transaction is ignored, the deal may not close at all. Sellers and their agents often express the attitude that the Buyer's financing is the Buyer's problem, not theirs. Perhaps, but facilitating Buyer's financing should certainly be of interest to Sellers. How many sale transactions will close if the Buyer cannot get financing? the relationship between the Buyer and its lender, or become actively involved in obtaining Buyer's financing. It does mean, however, that the Seller should understand what information concerning the property the Buyer will need to produce to its lender to obtain financing, and that Seller should be prepared to fully cooperate with the Buyer in all reasonable respects to produce that information. With this in mind, most commercial real estate lenders approach commercial real estate closings by viewing themselves as potential "back-up buyers". They are always testing their collateral position against the possibility that the Buyer/Borrower will default, with the lender being forced to foreclose and become the owner of the property. 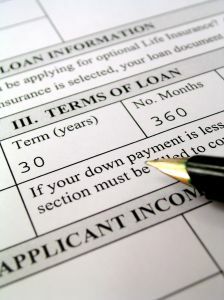 Their documentation requirements are designed to place the lender, after foreclosure, in as good a position as they would require at closing if they were a sophisticated direct buyer of the property; with the expectation that the lender may need to sell the property to a future sophisticated buyer to recover repayment of their loan. The closing process for commercial real estate transactions can be expensive. In addition to drafting the Purchase Contract to accommodate the documentary requirements of the Buyer's lender, the Buyer and his advisors need to consider and adequately plan for the high cost of bringing a commercial real estate transaction from contract to closing. If competent Buyer's counsel and competent lender’s counsel work together, each understanding what is required to be done to get the transaction closed, the cost of closing can be kept to a minimum, though it will undoubtedly remain substantial. It is not unusual for closing costs for a commercial real estate transaction with even typical closing issues to run thousands of dollars. Buyers must understand this and be prepared to accept it as a cost of doing business. Closing costs can constitute significant transaction expenses and must be factored into the Buyer's business decision-making process in determining whether to proceed with a commercial real estate transaction. They are inescapable expenditures that add to Buyer's cost of acquiring commercial real estate. They must be taken into account to determine the "true purchase price" to be paid by the Buyer to acquire any given project and to accurately calculate the anticipated yield on investment. Costs often overlooked, but ever present, include title insurance with required lender endorsements, an ALTA Survey, environmental audit(s), a Site Improvements Inspection Report and, somewhat surprisingly, Buyers attorney's fees. For reasons that escape me, inexperienced Buyers of commercial real estate, and even some experienced Buyers, nearly always underestimate attorneys fees required in any given transaction. This is not because they are unpredictable, since the combined fees a Buyer must pay to its own attorney and to the Lender's attorney typically aggregate around 1% of the Purchase Price . Perhaps it stems from wishful thinking associated with the customarily low attorneys fees charged by attorneys handling residential real estate closings. In reality, the level of sophistication and the amount of specialized work required to fully investigate and document a transaction for a Buyer of commercial real estate makes comparisons with residential real estate transactions inappropriate. Sophisticated commercial real estate investors understand this. Less sophisticated commercial real estate buyers must learn how to properly budget this cost.